Fighting it out with over 70 tippers, Craig took out the season with a 10 game lead! Join our competition in 2018 where we will be offering weekly round winner prizes! 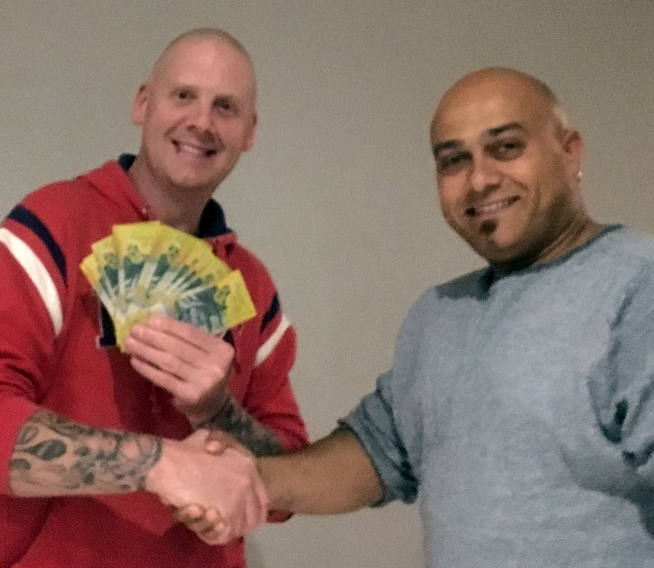 Parts Locator’s Ernest Brindley presents 2017 Parts Locator Footy Tipping winner Craig Gardiner with his Grand Prize!